Question: I am just starting out on my journey to purchase my supplies to start painting with acrylic paints. I have found your suggestions on type of paint & canvases but have not found your recommendation of brand/brands of brushes. Any help would be appreciated. I really enjoy your videos and you have inspired me! For brushes, I don’t have a specific brand that I go with. There are a few types of brushes that I lean towards. 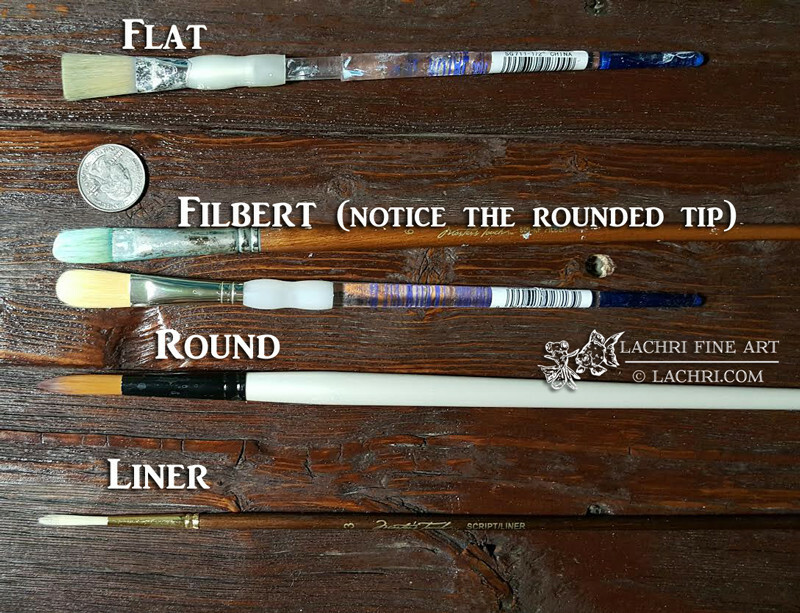 These are the brushes I use most when working in acrylics. They’re not too stiff, not too soft. They just play so nicely with the soft acrylic paints. Gold or white taklon works great. You will want a variety of filberts, flats, long bristled liners, and rounds. You want to avoid short bristled brushes as the paint builds up at the base of the bristles and they lose their shape too fast. 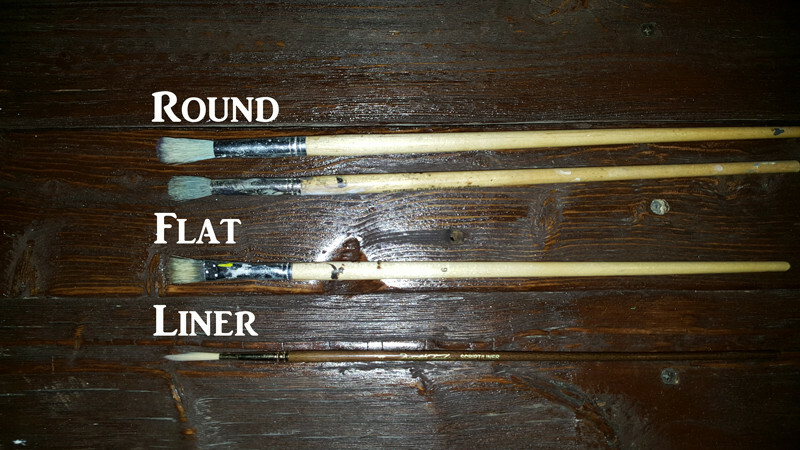 Most of my brushes are either the Masters Touch generic brushes from Hobby Lobby or Royal Soft Grip brushes. The Precision Beauty brush is what I use for wet into wet blending. You’re going to want a few of these because as you work, when one starts to get wet or pick up too much paint, you need another ready to go right away. If you stop to clean and dry that brush the paint on the canvas will be dry before you’re back to blending. I have a few other brushes that I occasionally use in addition to those. My best advice is to sample a few different types to see what you like best! Want to see all of the supplies I use for acrylic painting? Check out my full Supply List!